Remarkable progress of the Red Cross Pearl Necklace scheme  will be reported on Wednesday next, when, under the presidency of Princess Victoria , the general committee and patroness meet at noon at the Royal Automobile Club. During the past few days there has been an extension of the scheme in the provinces, where women have undertaken the collection of pearls. The Countess of Norbury  has contributed a diamond clasp in memory of her brother, Captain Bevis Ellis , who was killed on the Somme in 1916. It was inherited from the Duchess of Sermoneta , but has always been in Lady Norbury's own family, having originally belonged to the Duchess of Portland , wife of the fourth Duke. The pearl given by Evelyn Countess of Bathurst  was taken from a necklace given by the Duchess of Gloucester , daughter of George III, to Lady Georgina Bathurst , who was her Lady of the Bedchamber. Princess Victoria, the president of the Red Cross Pearl Necklace, is identifying herself closely with the work . She signs every letter of thanks to the donors, and takes much interest in visiting the jewellers and seeing the pearls. The collection now numbers over 800 pearls. 1. 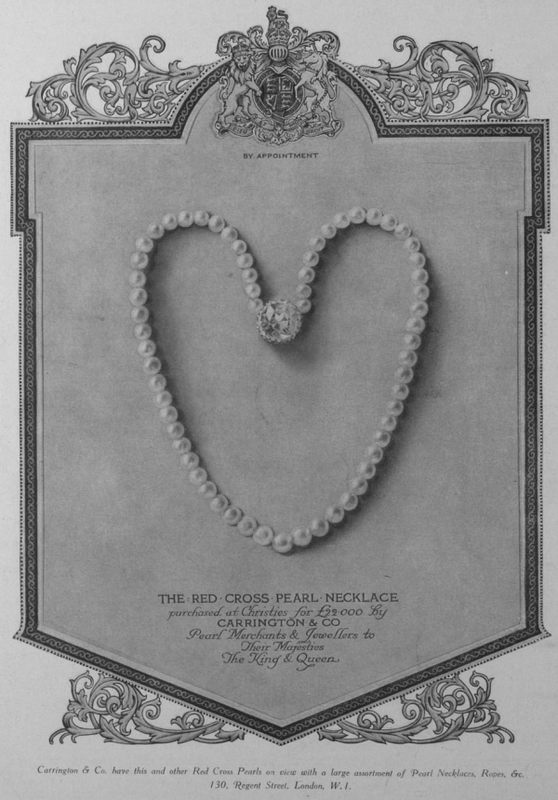 The Red Cross Pearl Necklace was a charitable project designed to benefit the Red Cross during World War I. Press reports explained, "What is known as the Princess Victoria Committee is getting contributions of pearls which are to go into a string that will be sold for the benefit of the Red Cross. It will be composed of 87 pearls of the finest quality and rich women all over British dominions are making contributions." The names of those who donated pearls were published in newspapers, and numerous London jewelry firms, including Garrard, Carrington, Cartier, Tiffany, and Boucheron, were involved in the project. 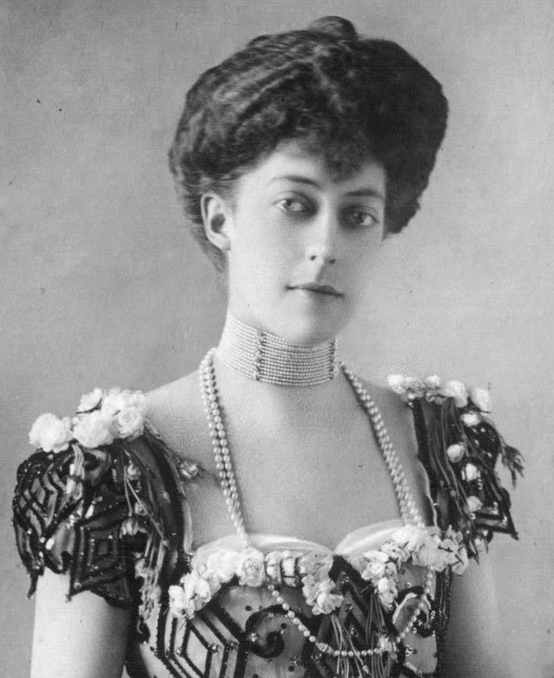 Several royal ladies donated pearls, including Queen Alexandra, Queen Mary, and Princess Beatrice. The scheme quickly became popular, and the committee had to significantly broaden their aims. At one meeting, Lady Hall, the chairwoman of the executive committee, explained that they "were constantly being asked what they were going to do with the pearls, and people seemed to think that there were so many sorts and sizes that it would be difficult to group them. That was not so. Many of the pearls already received were so beautifully matched that they could be used together at the present moment if the intention were not to make a unique assembly of pearls with the aid of gifts yet to come." The pearls donated for the scheme helped raise even more money when they were put on public display at the Grafton Galleries in the summer of 1918. Queen Alexandra and Princess Victoria personally visited the exhibition on June 22, 1918. In the end, so many pearls were donated -- reportedly more than four thousand in total -- that 41 necklaces were made. The sale of the necklaces and additional pearl jewels took place at Christie's in December 1918. One necklace was apparently made solely of pearls that had been donated specifically in memory of loved ones who had died during the war. One of them was purchased and presented to Princess Patricia of Connaught as a wedding present in February 1919. The finest necklace was bought by a representative of Carrington and Co. for £22,000. The total auction results from the sale exceeded £85,000. There's a new book about the Red Cross Pearl Necklace scheme, Pearls Before Poppies, from journalist and historian Rachel Trethewey. I haven't read it yet, but I'm planning on reviewing it on the blog shortly. In the meantime, you can order it on Amazon here! 2. Princess Victoria of the United Kingdom (1868-1935), often called "Toria," was a daughter of King Edward VII and a sister of King George V. She served as a companion to her mother, Queen Alexandra, until her death in 1925. She never married, but her royal links were far-reaching; she was the aunt of two Kings of the United Kingdom and one King of Norway. 3. Lucy Graham-Toler, Countess of Norbury (1876-1966) was the wife of William Graham-Toler, 4th Earl of Norbury. She was also a granddaughter of the 6th Baron Howard de Walden and a great-granddaughter of the 4th Duke of Portland. The Times described the clasp that Lady Norbury donated as "a very handsome brilliant surrounded by smaller brilliants." 4. Captain Francis Bevis Ellis (1883-1916) was an officer in the 10th Northumberland Fusiliers. A younger brother of Lady Norbury, he died on September 25, 1916, during the second phase of the Battle of the Somme. Ellis, who was educated at Eton and Oxford, was a composer and a noted patron of contemporary English music. 5. 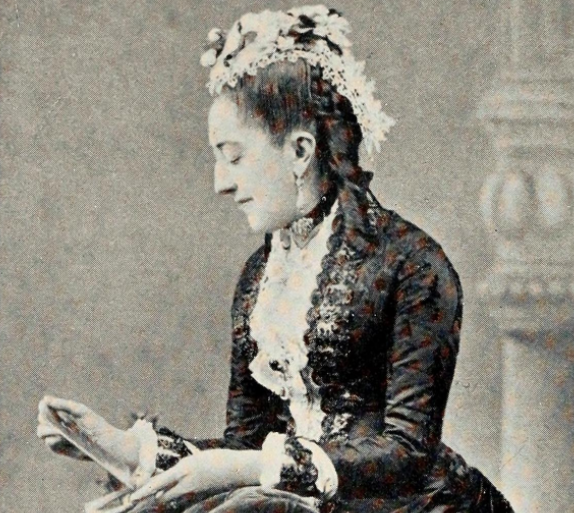 Harriet Caetani, Duchess of Sermoneta (1831-1906) was the eldest daughter of 6th Lord Howard de Walden and an aunt of Lady Norbury. Harriet married an elderly Italian aristocrat, Michael Angelo Caetani, Duke of Sermoneta, in 1875. A book of letters sent by Harriet to Louisa Denison (whose uncle, Lord Ossington, was married to Harriet's aunt, Lady Charlotte Cavendish-Scott-Bentinck) was published in London in 1912; you can read it online here. 6. Henrietta Cavendish-Scott-Bentinck, Duchess of Portland (1774-1844) was the wife of the 4th Duke of Portland. 7. Evelyn, Countess of Bathurst (d. 1927) was the widow of the 6th Earl Bathurst. 8. Princess Mary, Duchess of Gloucester and Edinburgh (1776-1857) was the eleventh child of King George III and Queen Charlotte. She married her first cousin, Prince William, Duke of Gloucester and Edinburgh, in 1816. Later in life, she became a favorite aunt of Queen Victoria. 9. Lady Georgina Bathurst (1765-1841), born Lady Georgina Lennox, was the wife of the 3rd Earl Bathurst. She was also a granddaughter of the 2nd Duke of Richmond (and, therefore, a niece of the famous Lennox Sisters). She served as a Lady of the Bedchamber to King George III's daughter, Princess Mary, Duchess of Gloucester and Edinburgh. 10. Princess Victoria also personally donated pearls to the project. 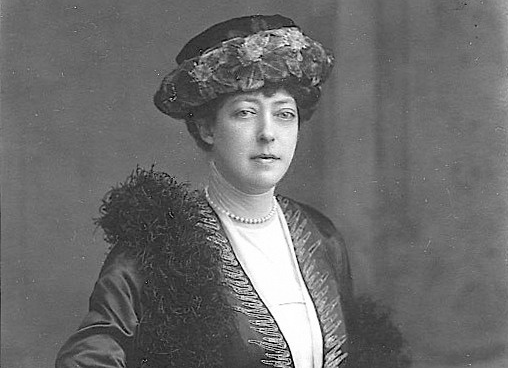 Newspapers speculated that the pearls she offered may have been a gift from her father: "It was King Edward's custom to present each of his three daughters with one or two beautiful pearls on the occasion of their birthday. This he did ever since their early childhood, and consequently when the princesses grew up they all possessed very fine pearl necklaces. Princess Victoria, who is one of the royal contributors of pearls to the Red Cross Necklace, may possibly have given one or two of these to help form the rope."